MERSEYSIDE troubadour Nick Ellis is set to unleash brand new eight-track EP, Grace & Danger on 21st April courtesy of Mellowtone Records. Hanging around the local circuit for a number of years, Ellis has experience fronting local beat catchers The Blue Soul alongside chasing a truly tasteful solo career. Now partnering up with Mellowtone, Ellis is set to take over Leaf on Bold St for a night of cool, unadulterated sounds to launch what will be the greatest Merseyside release of 2016. Recorded in the Court Room of St. George's Hall, Grace & Danger explores the equilibrium between the angel and devil on our shoulders, each track cradling a murmuring tranquillity while arguing for change. Tracks such as The Lovefish wiggle into a soft lullaby, beautifully ornate and expertly crafted, boasting a Shakespearean nod to a Spring full of solace. With a refreshing guitar based instrumental, Ellis' wholesome vocalism is complimented angelically. The EP's opposition comes from songs like Electric Blue High Heels, a country-western number, quick, poetic and foot-tappingly exotic whilst Cooler Than A Cupid has a Summery Grecian twang, the perfect accompaniment for a late night stroll in a hot climate, opening up to a world of discovery. 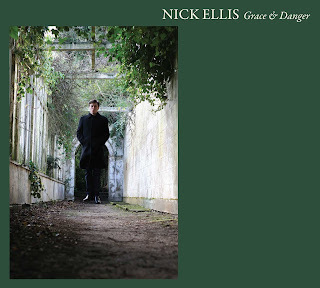 Hauntingly captivating, Nick Ellis has the gift many could only dream of. Pick up your copy of Grace & Danger here or pop down to Leaf on 21st April, tickets available on Skiddle.